VietNamNet Bridge – For Natalia Shafinskaya, Hanoi is like a beautiful love. Her husband loves Vietnam, too. They moved to Vietnam for work, and feel proud to tell people their son is a Hanoian as he was born here. Shafinskaya’s work as director of the Russian Centre of Science and Culture in Hanoi has made her a bridge between the cultures and educational systems of the two countries. She is devoted to being a friend to Vietnam. Natalia Shafinskaya surprised her family when she decided to learn the Vietnamese language and move to Vietnam. She was born in the far eastern part of Russia, in Vladivostok City where young people often pursue Asian studies. During 11 years in the Russian educational system, she learned Chinese very well. She spent much time and effort learning about China. She and her family always believed that she would become an expert of Chinese studies. However, when she graduated and prepared to enter university, a teacher who spoke both Vietnamese and Chinese advised her to choose Vietnamese. So after 11 years studying Chinese, Shafinskaya started from the beginning and told her family she had chosen Vietnam. In Russia, there are big Vietnamese teaching centres in Moscow, Saint Petersburg and Vladivostok, where Vietnamese diplomatic agencies are located. Luckily for Shafinskaya, she could learn Vietnamese at home with a Russian teacher. “After six years learning, I had a feeling that Vietnam was so close to me, like my second homeland and my faith,” she said. She did not stop thinking about what to do. With her graduation paper in hand, she came to Vietnam to start a new life. She began her career as a translator, Russian teacher and specialist at the Russian Centre of Science and Culture in Hanoi. 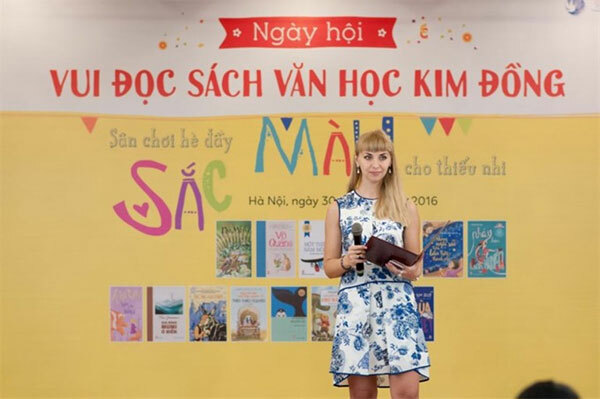 Natalia Shafinskaya came to Vietnam in 2005 and stayed one year to practise the language. The country, familiar but strange, appeared in front of her eyes. Though she had learned Vietnamese with a Hanoian accent, she still made people smile when she spoke with the wrong tone. That year was the first time she experienced Tet (Lunar New Year) in Vietnam. Now, she buys kumquat trees and celebrates Tet like other Vietnamese people. Shafinskaya’s first Tet holiday in Vietnam left happy moments in her mind. She and her friends decided to travel from Hanoi to HCM City. “It was a wow moment for us,” she said. “The nature in Vietnam is so beautiful. The beach is pristine with very few tourists. The people are always friendly. “HCM City is adorable, too, but I still feel a strong attachment to Hanoi; it’s like my first love,” she said. Wherever Shafinskaya goes, she always meets friendly and kind-hearted people. Once, her motorbike ran out of petrol and she could not find a filling station. She met a local person and asked him for assistance in Vietnamese. He kindly invited her to come to his family home and helped her find petrol. Shafinskaya says she has found many similarities between Vietnamese and Russian people, especially respecting friendship and a will to overcome troubles. Many foreigners may find the language barrier, food, environment and traffic difficult when they adapt to life in Vietnam. But Shafinskaya has no complaints. Instead of moaning, she tries to find a way to get on well with the situation. “If I don’t like Vietnam, I wouldn’t live here. I respect everything about Vietnam,” she said. 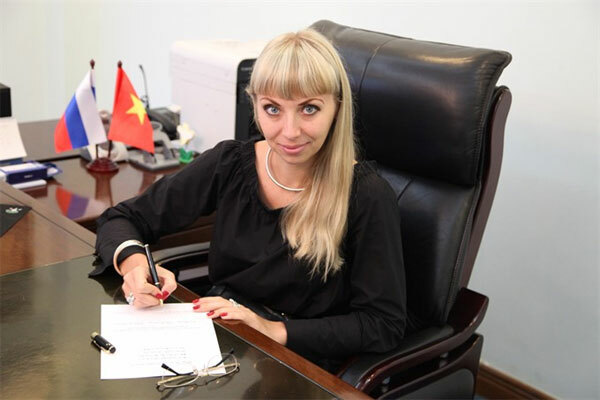 Shafinskaya and her cultural centre, in close co-operation with the Russian Embassy, will host many activities from now until 2020 to celebrate 70 years of diplomatic relations between Vietnam and Russia. The activities of the Russian centre will focus on education and cultural exchange. Shafinskaya is working on research about the relationship between Russia and Indochina countries.